Unlimited Free SSL Certificates with your Server! Our range of Linux Dedicated Servers provide excellent performance, features and reliability. Full Server Management and WHM / Cpanel Control Panels are already included in our prices! Payment can be made by Card, Pay Pal, or Internet Banking. Softaculous Premium Edition for fast easy installations of over 400 Free Apps including WordPress, Joomla, Magento, and a wide range of Shopping Cart Programs is included in every Web Hosting package! An SSL Certificate is provided Free with every Hosting Account for the life of your Account! Great for E-Commerce Sites and helps to boost the Search Engine Ranking for all Sites. CFS Firewall and Linux Malware Detect provide a high level of security for all Sites. 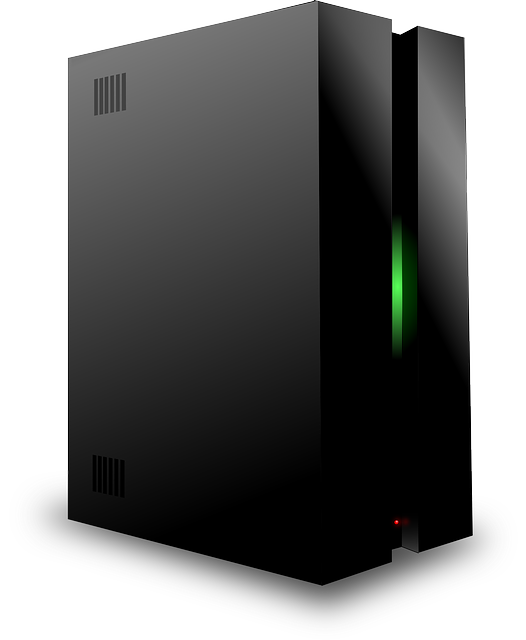 Our Servers also perform regular automated Full Backups of each Hosting Account. Backups are made via an encrypted connection to a separate server ensuring the best possible security for Account Backups. A Dedicated IP Address is included Free in all of our Platinum and Titanium Hosting packages. This helps to provide the best possible reliability when sending mail. As recommended by Google's Page Speed testing our Servers automatically compress Data before serving pages, further boosting Page Load speeds. You can pay for Domains and Hosting Packages by Card, PayPal, Internet Banking or by Cheque. For Hosting packages you can choose to pay from 1 month to 3 years at a time. You can also upgrade/downgrade your Hosting Package and/or change the Billing frequency at any time online. We provide Australian based Technical Support by Phone, Skype, Support Tickets and Email. We are one of Australia's longest established Hosts with over 19 years experience in managing Servers and providing Support to all of our Clients. Sitepad, one of the World's best and easiest to use Drag and Drop Website Builders with over 350 Mobile Responsive Themes is included Free with every Web Hosting package! Create your own stunning Site. This 5 minute Video on Youtube shows how super easy Sitepad is to use to design your Site. You can see the full range of Themes at Sitepad and some examples below. Our site has been hosted by Australian Websites for over 14 years. We have found the service, features, and reliability to be outstanding! One of the world's leading organisations for ecologically sustainable economic development. Very fast, reliable Servers and always professional service. Our range of Web Hosting Packages provide all of the features you need to quickly and easily create your own amazing Site. They are also perfect for creating E-Commerce Sites and for hosting Wordpress, Magento, Open Cart and many other apps. 55% off the normal price for the first Billing period for any of our Web Hosting Packages. This Special Offer applies to any Billing period from 1 month to 36 months, and will be applied for you in the Shopping Cart automatically, after you select the Billing period, and continue to the next page. The Special Offer will be applied to your Order after you select the Billing period, and continue to the next page. Our range of Email Hosting Packages provide excellent features and reliability. They also provide outstanding value - You can for example create up to 20 Email Accounts that you can access using any Email Program or Secure Webmail from only $1.80 per month. 55% off the normal price for the first Billing period for any of our Email Hosting Packages. This Special Offer applies to any Billing period from 1 month to 36 months, and will be applied for you in the Shopping Cart automatically, after you select the Billing period, and continue to the next page.